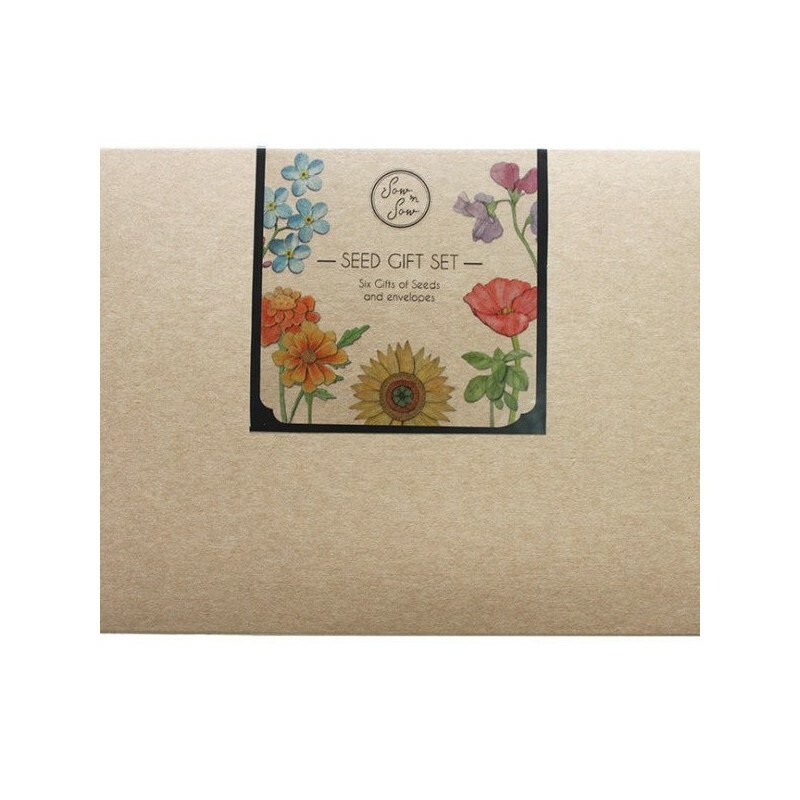 This gift set comes in a recycled kraft package and contains six beautifully illustrated envelopes with seeds: Sunflower, Poppy, Trio of Herbs, Forget-Me-Not, Marigold and Sweet Pea. 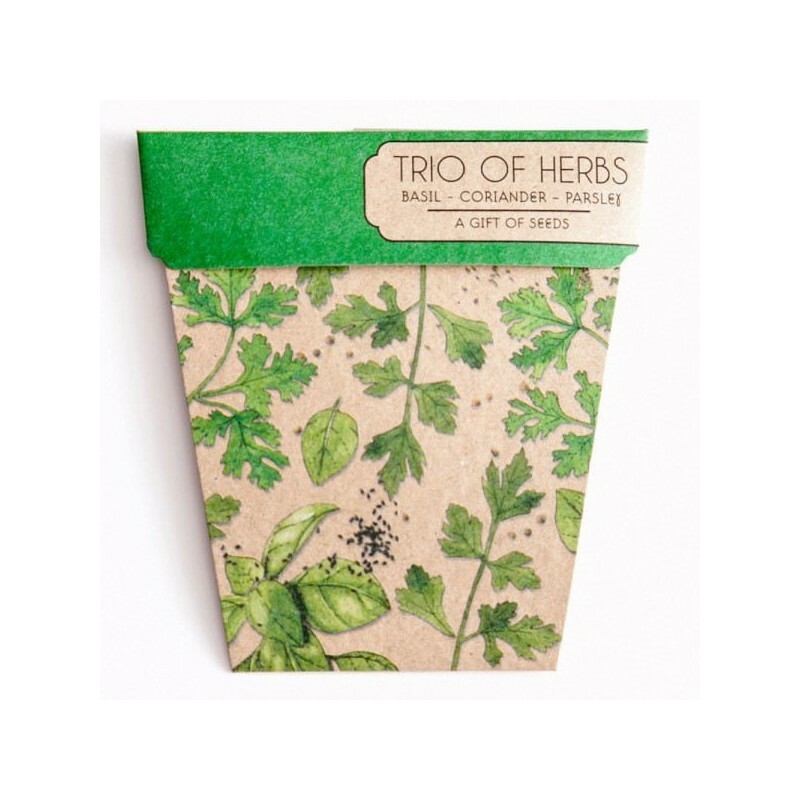 100% recycled paper and packaging. 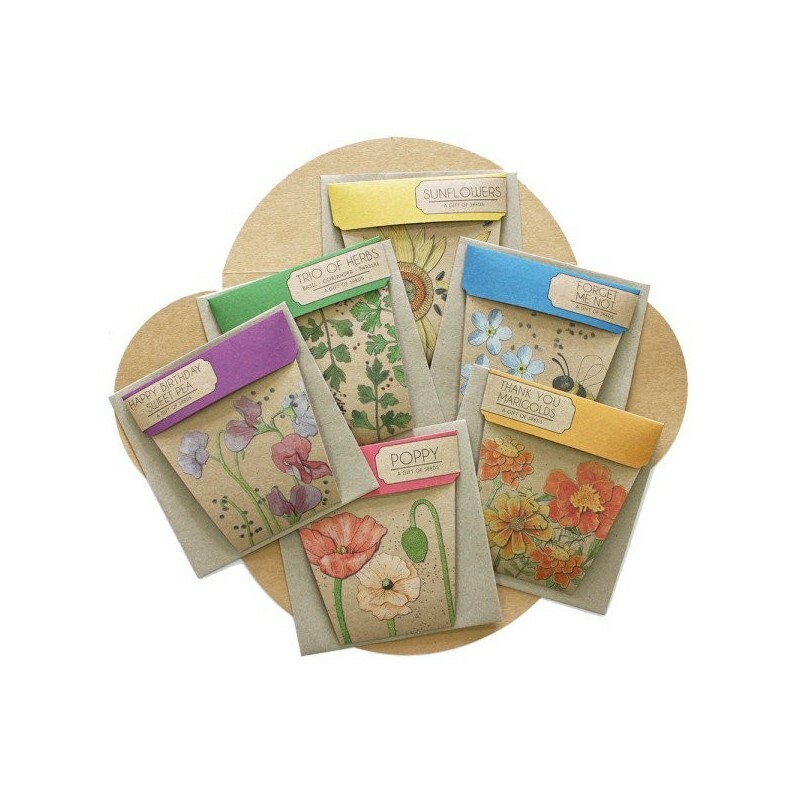 The gift of seeds is eco-friendly and continues giving year-round, long after they are sown. Each packet features illustrative artwork by Daniella Germain. 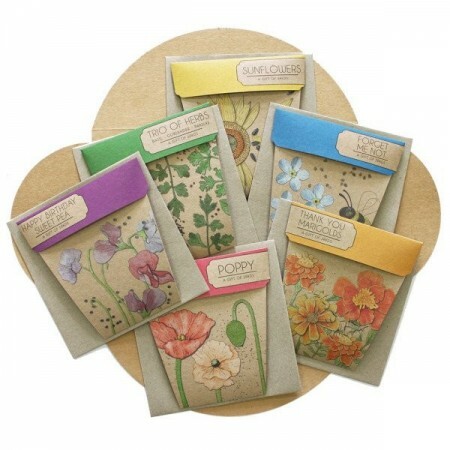 Gift pack includes seeds for every season: Sunflower, Poppy, Trio of Herbs, Forget-Me-Not, Marigold and Sweet Pea. 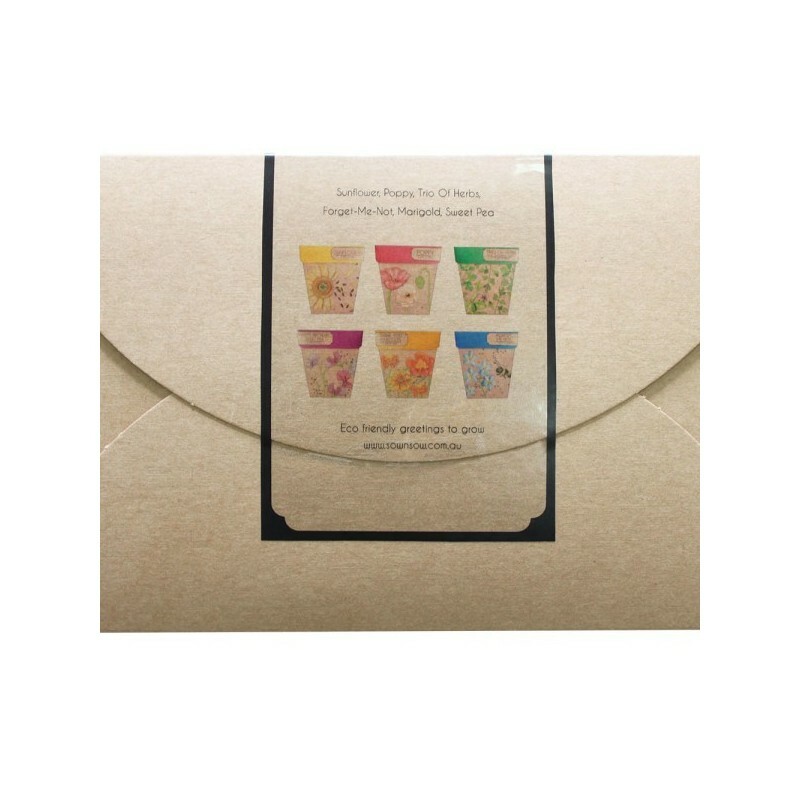 Packet = 25cm x 15cm. Beautifully packaged. We are using these for my daughters party bags instead of plastic toys.